2 So then, what does “Full Spectrum” really mean? With so many indoor grow light options, especially in the LED market, it has become really confusing to figure out which grow light to buy. And when it comes to buying a full spectrum LED grow light, not all LEDs are built the same way. You need to pay attention to both the quality and quantity of light a fixture produces if you want to understand real power that LED grow lights can deliver to your canopy. In this article, I’ll help you figure out how to buy the best full spectrum LED grow light for your money. I’ll do this by helping you to understand what terms like Spectrum and PAR mean, how they relate to each other, and how you can use them to choose the best full spectrum LED fixture you can buy for your garden. It’s not cheap at $900, but the Fluence SPYDRx is by far the best full spectrum LED system on the market right now. You’re won’t find a better LED setup for the money. California Lightworks is one of the most reputable manufacturers. 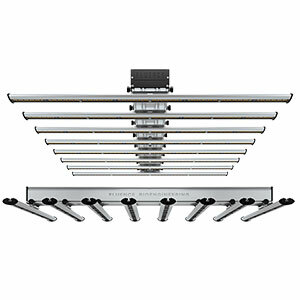 Full spectrum is a common term that many lighting companies use to promote their particular model of LED fixture. Usually they reference the Chlorophyll A and B absorption spectrum chart, which you may be familiar with. I should probably point out that they probably didn’t know that such a chart is only valid for extracted chlorophylls and not for the living leaf itself. But that’s another story. For more information, read my article on how light affects plant growth. 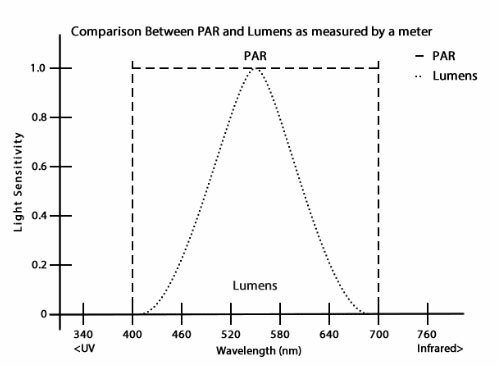 Difference between how a PAR & Lux meter measure light intensity. 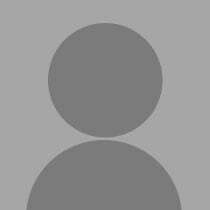 Note that the Lumens curve also correlates to the sensitivity curve of our eyes. The way we perceive light is naturally much higher biased for green-yellowish light with a sensitivity peak around 555 nanometers. Our eyes have a combined sensitivity curve where the peak of our sensitivity is also where the peak reflectivity is going to be for a plant. So then, what does “Full Spectrum” really mean? 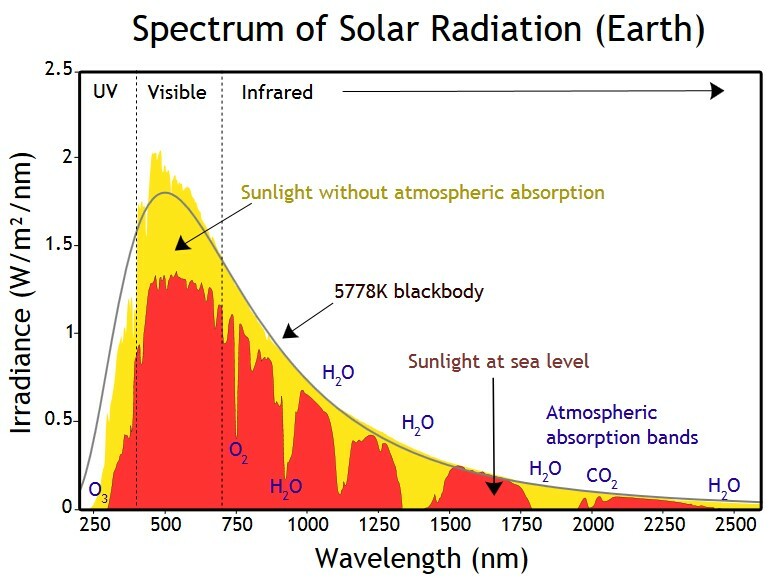 Spectrum of Solar Radiation. Note how the Irradiance peaks within the PAR/Visible spectrum. 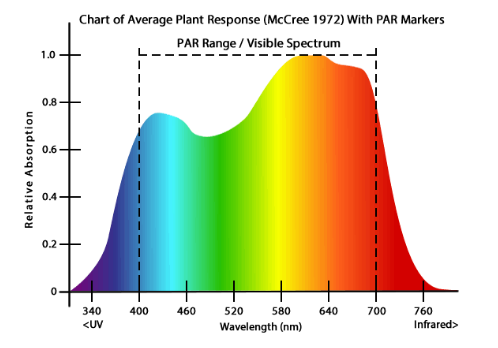 While plants certainly can use some of the light wavelengths outside the PAR spectrum, the light that falls outside of this range is usually either too powerful or too weak to be of primary use for photosynthesis. To absorb light, plants use a somewhat primitive but highly effective version of our eyes, which we call pigments. The most abundant plant pigment is chlorophyll and it is most efficiently used to capture red and blue light. Other than those, there are many other pigments, including carotenes and xanthophylls which harvest light in other wavelengths and pass it on to the photosynthetic process. Now that you understand the science behind full spectrum LEDs, here are the most important factors you need to consider when you are deciding which to buy. Right now, full spectrum LED grow lights are expensive. The costs of setting up a system that depends on these lights can be more expensive than standard HPS or HID setups. However, you will save a lot of money in the long run due to the efficiency of LEDs vs. HID lighting. For example, the average lifespan of an HPS bulb is around 10,000 hours. Compare this to a 50,000 hour lifespan for LEDs and you can see the cost savings you’ll accumulate over time. You can run a full spectrum LED setup for 15 YEARS before you need to consider replacing it. So, in short: if you can afford the initial setup cost, you’ll thank yourself in the long run. Most HID or CFL lighting setups are bulky and cumbersome. This isn’t necessarily bad, but if you’re trying to grow in a smaller space it can make it difficult. Full spectrum fixtures are relatively small and don’t require ballasts or reflectors, freeing up space in your grow tent or grow room. Light and heat are forever intertwined. The temperature of your grow room is a vital variable, and grow lights are one of the biggest contributors to rising temps. It’s why grow room ventilation is so important. Full spectrum LED lights don’t really have this problem though. Some growers actually have to heat their rooms artificially during colder months due to how low the heat output is from this type of lighting. That means that if you’re growing in a warmer climate, you won’t have to worry about overheating your grow room. If you’re reading this article, chances are good that you’ve already decided to go with a full specrum LED setup vs. some of the other lighting options out there. However, it’s still valuable to do a quick compare and contrast against the other lighting technologies. When comparing LEDs to HIDs, you’re really comparing against three different types of lights: high pressure sodium (HPS), metal halide (MH), and ceramic metal halide (CMH). In general, HPS edges out full spectrum setups on cost, but loses in heat output and ability to grow through a plant’s life cycle. In general, MH is good for vegetative phase and costs a bit less, but puts out a lot of heat and doesn’t work well for a plant through it’s entire life cycle. If you’re growing only vegetative plants though, it can work well. The Fluence SPYDRx is what you get when a company takes the full spectrum LED hype and actually applies rigorous scientific testing and quality manufacturing processes to it. It’s one of the coolest looking LED systems I’ve ever personally seen, and aside from that actually performs at a high level. Final Take: If you have the money to shell out for a top of the line full spectrum setup, you will not find a better price to value than the Fluence SPYDRx. California Lightworks is a reputable manufacturer in horticultural lighting and has been putting out quality LED systems for a while now. While it doesn’t win as many “flashy” points as my best overall pick, it’s a very solid full spectrum LED setup that will get the job done for most plants that you’re looking to grow. Final Take: If you want a solid, well-made and well performing LED system that won’t break the bank, go with the CLW Solarstorm 440. I need a powerful full spectrum light for my Spiral Aloe. It comes from high elevation in Africa and I need intensity without heating it up. Any suggestions? I wanted to know if I’m growing in a warm room with low watt leds would I need to increase the temperature of the room? And if the room is a bit warmer does it matter how much lumens my leds give? Like Increasing the temperature when getting less lumens, will that help or just buy some more leds. The problem you should try to solve first is getting more powerful lighting system. The temperature of the room isn’t going to affect the amount of light given to the plants. Thanks so much for this thorough article, Kevin! I’ve been dawdling about writing a series on indoor vegetable gardens; this is just what I need. I’ll definitely be sending folks your way for sage advice on their lighting needs. PAR. I’ve gotten a PAR meter, thinking I could use the metered values to determine the placement of my lights (various affordable consumer LED via Amazon). Put I have not found any charts/info to assist my determination. Might you be able to offer some guidance? I’ll be updating this piece shortly with more info – so stay tuned! Lighting charts will be added. Stay tuned Patrick – updating this article very soon! I came across your review for full spectrum LED lights with high lux output to put in a room to create a space where it’s like summer in the winter time. I noticed you’d mentioned measuring a lot of lights using a lux meter and wondered if you might have a recommendation of the highest lux output for the lowest cost. Room size is about 9 x 10′. Basically the room is for a retreat from winter gray skies in this area. I live in Japan where the market for grow lights is relatively small and there don’t seem to be many options available to consumers. We use a different voltage system from many other countries, and international shipping fees can be high, so importing grow lights may not be practical. LED bulbs that have the same shape as T10 and T8 flourescent bulbs are available. These LEDs aren’t specifically designed to be plant grow lights. They’re available at 1000 to 5000 lumens per bulb and in temperatures of 3000K to 6500K. Given these limitations, to grow plants from seed, would it make sense to go with a combination of 4000K and 6000K bulbs of 5000 lumens, or some other configuration? How close should these bulbs be placed to seedlings? LEDs can be placed quite close to plants as they don’t put off a lot of heat. As far as the temperatures, you are correct – a combo of 4000 and 6000 placed closely should do quite well. Good luck! I’m looking at the prices of the lights recommended in this article, even the budget one, yikes! Are you saying we can get a 4000k fluorescent bulb and a 6000k fluorescent bulb in the same fixture and have similar results for flowering and vegetative growth? Potentially, but you have to consider intensity of light as well. A single 4000k and 6000k bulb at low wattage might provide a “full spectrum”, but at an intensity that wouldn’t grow even a head of lettuce. So there is some value in investing in higher-quality lights! This article is way way way over my head. I guess I was just looking for some basic tips about what to look for when choosing a grow light for veggies and flowers. Does it have to be this complicated? It feels like it take all the fun out of gardening. Just my opinion. I try to give as in-depth info as possible when reviewing a product that’s this expensive…but I am planning to update this and can also include a short tips section as well! Will The SPYDRx also work for flowering, considering a “low” PPFD number of around 467 PPFD? Shouldn’t the PPFD numbers be around 750-900 for optimal growth rate? I’ve seen solid grows of all kinds all the way through flower with it, but I’m sure there is a more optimal lighting solution for a perfect flowering phase. I’ll put it on the list, Ken! Those seem a bit light as far as intensity goes, and you’ll likely need more in the orange-red spectrum as you go to flower as well. Check out my review on Viparspectra lights for a good budget option! Could you please tell me your opinion of the SolarSystem 550 with the SolarSystem Controller? I personally prefer other brands (like Viparspectra), but it’s a solid system that should do well for you. I got to wondering about how accurate advertising claims are for the shade provided by shade fabrics. So I tested eleven different ones for shade %, UV protection, & leaf temperature rise. will quarterly do an update. Note: my wife thinks that I have lost my mind! Your articles are fantastic! I am studying fabric screens for my backyard greenhouse the purpose being to protect my veggie garden during the hot summer months. Apparently I need not be concerned about screening out UV but should focus on maximum PAR light and if possible minimum leaf temperature rise. Do you agree? 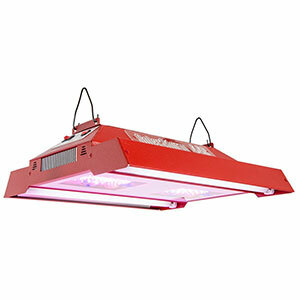 Do you have any opinions on the Chinese made Niello or HiGrow lights? I ordered a 300w Niello grow light panel on Amazon and now wonder how it stacks up. I’ll cover these on the site soon, but for now many of the 300w’s are from the same factory so are similar. I’d recommend buying from a more well-known brand though. Unfortunately, Solatubes only come in 11″ and 14″ applications. Same goes for the add’l fixture they install in the tube. They do have commercial applications but don’t install them in homes. It had a lot of light coming through June and July but I just really wanted to help the plant along in the winter months when the tube is not letting as much light through. I will look for the highest wattage LED bulb. Thanks. Best of luck with it Dee! Hope it works out for you and your beautiful plant. I really need help. I bought a 6ft tall Euphorbia succulent for my home in June. I had a Solatube installed especially for this plant for light, however, I still don’t think it’s enough light so I am having them come back out and install a light kit in it. In that kit I would like to install a grow light which would use a standard fixture. One issue is, my ceilings are tall so the light will be approx 4ft from the tip of tallest stalk of the plant. So I am not sure what would be suited best for this plant that likes ALOT of light. I’m leaning towards an LED but not sure which one. The plant is a beautiful focal point of the living room so aesthetics are a must. i’ve put so much time and expense into this plant, I don’t want it to die. I am determined! Can you give me any advice on a bulb that would work best? wow. do you like the new plasma induction lights? Thank you for this article! If only looking for an LED lightbulb to go in a clamp light for succulents, what should I be looking for? I’m only seeing red and blue LED lights that have high wattage. The white LED bulbs have low wattage and look to be focused for only use in the home. What is considered high wattage? Do I want a daytime light, similar to what I would want for a CFL?